In 2013, 13 organizations in Kern County came together as the Food Policy Council to grapple with the Golden Empire’s hunger-agriculture conundrum. 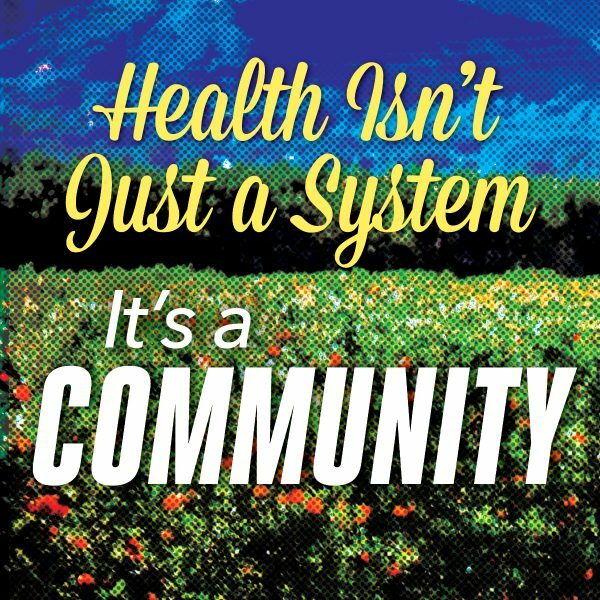 Members now include a science teacher, a mom who’s revving up her school district’s wellness policy council, a retired cop, a planning consultant, a farmers market manager, representatives from Public Health, Kaiser Permanente, Aging and Adult Services, and the Food Bank. Zócalo spoke with Jill Egland, Vice President of Community Impact at United Way of Kern County about the Council and what they hope to accomplish. Q: It sounds like one of the challenges in Kern County is choosing a problem where the Food Policy Council can really make a difference. Is that so? A: Well, yes, but not in the way you might think. When we first convened, we were all over the place in terms of what we thought we should be focusing on. Most of us are direct service agencies—we think in terms of program delivery, right?—so, we automatically went into “doing” mode—coming up with new programs the Food Policy Council could implement. But the fact is, everyone sitting around the table already had an overwhelming workload. Our first meetings felt more like recruitment sessions—everyone had something going on that desperately needed volunteers, and the Council represented a new source of worker bees. Finally, making the shift and looking at problems from a policy perspective at first was just as frustrating for us because nobody could see past the specific context of their agency. Diabetes is a great example. Statewide, there’s a big push for a tax on sugary drinks, which has been proven to be a huge contributing factor to diabetes. The logic for the tax is, you make sugary drinks more expensive than water, and people will drink water instead. Our county health-related council members—whose local work is influenced by state mandates—were for this. Others weren’t so convinced. My agency’s perspective, for instance, is that this sort of tax is regressive—essentially getting poor people to fund programs to study themselves. Then it hit the news that the arsenic levels in the town of Arvin’s water was off the charts. People were told to stop using their tap water for anything. Kids were told to stop drinking from school drinking fountains. Local foundations have been paying to get filtration systems installed in the schools most directly affected, but they’re $1,500 a pop. What we’ve come to see is that you can’t advocate for taxing the orange-colored sugar water that’s currently available by the gallon jug for a buck without also advocating for access to free, clean, uncontaminated water. Once Sacramento passes a bill to cover the costs of school filtration systems and laws that protect the further contamination of our groundwater, the Kern Food Policy Council will be happy to discuss a tax on sugary beverages. Q: Why did you start the Food Policy Council? A: We started it because we thought it would help us strengthen our county’s emergency food relief efforts. What we’ve discovered since, though, is that the underlying causes of the chronic hunger in this county are way more complicated to solve than just bolstering our food bank. Early on, we learned about other California communities actually identifying their food deserts, and then using the data picture as an advocacy tool. One of our members had the GIS software, so we brainstormed what we wanted on it, and he create a map that identified low-income neighborhoods and the locations of any shop that sold fresh produce. He included all the bus lines, and added circles around the shops showing a 2-mile radius, which is, I guess, considered a reasonable distance to walk. It was amazing to behold. But when we looked at it all together, it was like trying to come to an agreement on the meaning of a Rorschach inkblot. We realized that we didn’t know what we didn’t know. We didn’t know what we should be valuing, or really concerned about, or what assumptions we should be challenging. Take the 2-mile walking threshold, for instance. When it’s 110 outside, who’s walking 2 miles to get produce? Should we be advocating for more bus routes, then? From the perspective of UWKC, food insecurity is a byproduct of financial instability. People can’t afford to eat well. United Way did a survey of families in Kern County and found that 34 percent can’t pay basic bills; and nine out of ten of those families have at least one member working. In order to make ends meet here, a family of four needs to have 2.25 minimum wage jobs. It’s important to have fresh produce at the food bank, but then again, everyone should make enough money to go to the store and buy whatever they want. We decided to do a Food System Assessment to learn more about the whole system. We didn’t just want to know who didn’t have food; we also wanted to find out about food waste, food employment, and food processing and manufacturing in Kern. The whole picture. Q: It sounds like the more traditional California food policy approach wasn’t really going to work here. How did you tailor it for Kern? A: Kern County is different from other places: Big Ag and Big Oil influence just about everything. While public housing for low-income residents is usually financed by HUD, here a third of it is also financed by USDA, and is meant to be used as transitional housing for farmworkers. We had to figure out how to get the other food system stakeholders in Kern to join us. We’d failed so far to get Big Ag at the table—there’s a history of acrimony between the agriculture industry and the labor movement, and a definite awkwardness between Big Ag, the second largest employer in the county, and the agencies making up the FPC, who essentially fill the gaps in services that exist due to the low wages earned by farmworkers. We knew that nobody locally had the authority needed to facilitate a conversation between such diverse stakeholders. So, we asked Dr. Gail Feenstra, from UC Davis’s Sustainable Agriculture Research Education Project to help us. Everyone respects UC Davis in Kern County. Everyone sends their kids there—conservative and progressive alike. We invited the Wonderful Company, Kaiser, Kern Health System, the Farm Bureau, the Center for Race, Poverty and the Environment, city managers and planners, the Dolores Huerta Foundation, school districts, county agencies, our state legislators, and California State University Bakersfield to attend a meeting about the food system, facilitated by UC Davis. Twenty-eight stakeholders in all. Everyone said yes. The first thing Gail asked us was to describe what we wanted our food system to look like. Everyone had a different vision, and was pretty passionate about it. Over the months, she helped us listen to each other, and build a picture of our food system that reflected everyone’s passion. And the group said yes. She asked, “What would you specifically need to see improve in order for you to agree that the system as a whole was improving?” and helped us focus on what was viable and measurable. At one point, The Wonderful Company and the Dolores Huerta Foundation disagreed over a particular set of indicators. There was a fierce debate; we all got into it. But by then, we had met enough times so that people genuinely liked each other. We had a civil discourse. Q: What were the subjects of debate? A: There was a big one around what is meant by a “healthy environment.” People in the schools wanted a decrease in pesticide/herbicide levels. The Cooperative Extension people said that since you can’t measure that accurately, we shouldn’t include it as an indicator. The public health people adamantly disagreed with Cooperative Extension. Then the planners in the room said they would be willing to get together and figure out a way to do it. Everyone walked away from the conversation feeling they’d been heard. Q: How did the group come to like each other enough to work through this? A: Gail constantly reconfigured everyone. Nobody stayed in the seat they started in. Everyone had the opportunity to work closely with everyone else at some point, to share information and brainstorm ideas. By the end of the first meeting, we were all on first name basis. The constant reconfiguring also made it really hard for anyone to stay locked in their cynicism. There were just too many perspectives and stories and, well, this overarching sense of hopefulness. Even the biggest cynics have come around. We also always have a meal in the midst of our meeting. It sounds hokey, but there’s something really powerful about stopping one’s work in order to break bread together. It’s like, things can get really contentious, but then there you are, sitting across from the person you were certain you had absolutely nothing in common with, both of you chowing down on Mediterranean food, making happy grunting noises. Q: What’s the big, complex problem you’re wrestling with? A: People like to point to the irony between our abundant agriculture and our high level of food insecurity. But it’s really not any more ironic than having workers at a Toyota plant drive some cars that aren’t Toyotas. Our agriculture industry is part of a global market. Its importance to us here is not so much as a food generator as it is a wage generator. To understand the symbiotic relationship between workers, the local economy, and big agriculture—you have to see it as its own complex ecosystem. The unspoken question—the elephant in the room—is how sustainable is this ecosystem, truly? The drought is showing us just how vulnerable a system it is. We understand the complicated relationship of the workers to industry. Nobody wants to see Big Ag fail. We’ve had a portent of what that would be like, with the downsizing of Big Oil here in Kern. The influx of unemployed oil workers has been a blow to the local economy, and to the agencies trying to provide relief. But everyone knows Big Ag needs to evolve. Kern’s relationship to agriculture needs to evolve. We can’t continue relating to food production primarily as a commodity. On the other hand, if the legislative landscape changes too quickly, and Big Ag destabilizes, we’ll have an emergency on our hands. So we have to start these conversations, getting everyone out of their siloes in economics, industry, or social services to talk about the future of Ag here. Q: So part of this was making peace with Big Ag? A: Well, if Wonderful decides to grow their pistachios in Texas, there’s just nothing to keep them here. Systemically speaking, we’ve got to figure out how our higher education, our technical and vocational training, doesn’t just feed the Big Ag labor force, but also fosters innovation and entrepreneurism. We need more small and mid-size farmers, more independent ag-related enterprise, in order to diversify our economic base. We also need to help farmworkers get more than just an increase in wage; they need a voice at the table. Q: So what does this all have to do with food, aside from low wages and poverty for workers? A: We’ve had to realize that we don’t have a functioning food system, despite the presence of Big Ag. How we get carrots is that they leave our fields, get processed in LA, and come back here in little sacks. Our real local food system is CISCO (the super market distributor). 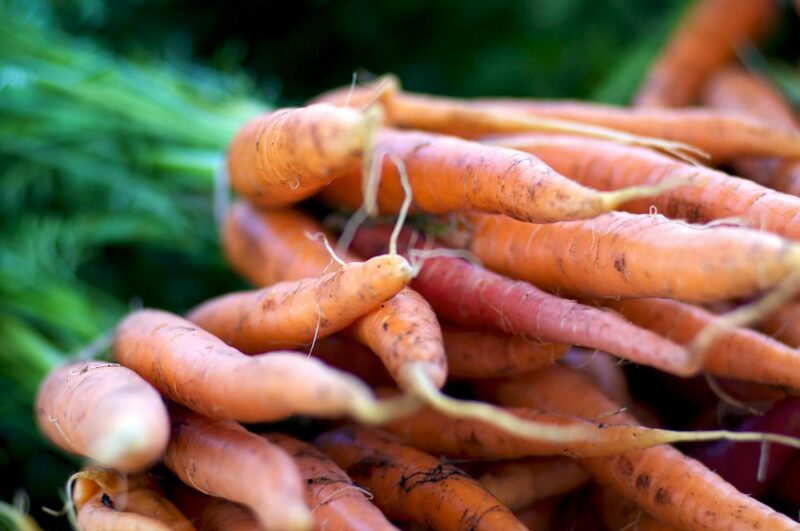 At the same time, we have 60 small farmers who sell their produce outside of Kern because there isn’t enough local farm-to-fork activity to make it viable for them to stay. We know we have to build a local market through restaurants, farmers’ markets, other retail outlets. Schools could provide a market big enough to make it interesting for the larger ag enterprises to consider. But finding a price point that makes it worth it for both sides is difficult. We’re looking into how those small farms, and even gardeners, can get licensed to sell vegetables to their local convenience stores. We’re also realizing that we need to develop new investment options, and economic incentives that encourage people to innovate and be food entrepreneurs. In the next few months we’ll get a report back from Gail Feenstra’s group and start to talk about what we can do. A: Yes. Rich Harwood, who founded the Harwood Institute for Public Innovation, says that there are five stages of community life, how quickly and easily can embrace change depends on which stage they’re in. First, a community is in The Waiting Place. People will tell you that change would be possible “if only we had the right mayor.” And so they do nothing. The next step is “Impasse, where everyone agrees something is wrong, but nobody can agree on what it is. If you can find a small group that agrees, maybe you get an isolated pocket of something happening. The next phase is Catalytic, with pockets of innovation starting to connect. But I think that Kern is now out of the Waiting Place and moving through “Impasse.” And that’s a great thing! The Food System stakeholders are an example of a small group of people who have figured out how to agree. Hopefully, the assessment will let us identify other small groups, connect with them, and help us move into the Catalytic stage. Q: What happens after the catalytic phase? Jill Egland is the Vice President of Community Impact for United Way of Kern County. *Photo Courtesy of Nick Harris/flickr.